Sure, science and math skills are important for people entering the medical field. But no matter which career you choose, you should also know that people skills are key. You are, after all, dealing with people’s most valuable asset: their health. Following are some ways you can enter careers in health care. Nurses are responsible for carrying out physician orders, acting as client advocates, passing out medications, starting IVs, giving injections, providing wound care and dressings and performing all procedures as required. One of the cornerstones of medical service, nursing to many is among the best health care jobs. A registered nurse (RN) has passed a licensing exam and completed a four-year bachelor’s degree. A licensed practical nurse (LPN, also known as LVN) must complete accredited practical nursing programs (which usually take a year at a vocational school or community college) and also pass a licensing exam. A bachelor’s or master’s degree, however, is often required if you’re considering administration, graduate school or other advancements. Schools, factories, hospitals, physician offices, wellness centers, community centers and hospice programs all offer careers in health care for nurses. You can even take your skills to the military. After receiving her bachelor’s degree in nursing (also referred to as a BSN), Capt. Nicole Candy joined the Army Nurse Corps. As an Army nurse, Candy has worked in pediatric and adult oncology. She has also been a member of the Special Medical Augmentation Response Team (S.M.A.R.T), a quick-alert team that could be recalled and deployed to natural disasters or major medical emergencies within three hours. Nurses should be goal-oriented, determined, and have good communication skills, says Dr. Nancy B. Moody, who has taught nursing programs all the way to the doctoral level. Assertiveness is another quality Moody says is helpful for nurses to have. Being assertive helps when making decisions in critical times and when dealing with a patient’s family. Building trusting relationships is one of the benefits of being a nurse, says Moody. “I felt like I was making a difference, whether giving immunizations to a newborn, working with an adult who’s having a heart attack, or working with a dying client and trying to improve quality of life at that moment,” she says. Finding enough time in the day to fulfill all responsibilities and spending the appropriate amount of time with each patient is a challenging aspect of being a doctor. There are many reasons that being a doctor is one of the highest paying careers in health care. After all, in a typical day, the doctor will see patients in the hospital in the morning, then go off and order laboratory work, X-rays or other diagnostic tests, then conclude with seeing scheduled patients for office visits. After a day like that a physician must be prepared for the fact that they can be on call at any time for a life-threatening emergency. What makes it among the best health care jobs is helping people and building relationships with patients. Students who want to be doctors typically enroll in four years of medical school, followed by three years as an intern and resident before becoming full-fledged physicians. Look for special programs, such as accelerated degrees and guaranteed placements. Start planning for med school now by taking four years of high school math and science. As an undergraduate, you don’t have to major in biology to get into med school. You will, however, have to earn good grades and take courses in chemistry and biology for admission to many programs. You’ll also have to take the MCAT (Medical College Admission Test), which provides med schools with a common base on which to evaluate applicants. Working as a medical doctor is among the most challenging careers in healthcare today. Chiropractors serve patients with musculoskeletal and nervous system health problems without surgery or prescription medication. To become a chiropractor, plan on earning a doctorate of chiropractic degree from an accredited four-year chiropractic college after receiving an undergraduate degree. To treat discomfort, chiropractors give nutrition and postural advice and manipulations or adjustments to various parts of the body. They do not prescribe medication or perform surgery. Many chiropractors go into practice by themselves or in a group. That means they may have to undertake office administration responsibilities, client-base building and other tasks that business owners have to do. After passing a chiropractic program and national board exams, you’ll be able to practice as a chiropractor in nearly all 50 states and many countries. If you like the idea of giving clients peace of mind and body, consider becoming a massage therapist. While massage therapy may not immediately come to mind when considering the best healthcare jobs, these professionals play a growing role in today’s health care. As a massage therapist, you get immediate feedback on helping people and can see it in even just a half hour or an hour. If your patients are feeling better, they’re going to get along better with everyone else in society. Requirements to become a licensed massage therapist vary from state to state; according to the American Massage Therapy Association, unlike other careers in healthcare, only 33 states and D.C. require licensure. You can also opt to take a national certification exam, which requires 200 hours of massage, 200 hours of related coursework and at least 100 hours in anatomy/physiology study. Massage therapists can work with chiropractors, physical therapists, in gyms, spas, cruise ships or have their own business. The most challenging part of massage therapy is understanding clients’ backgrounds completely. 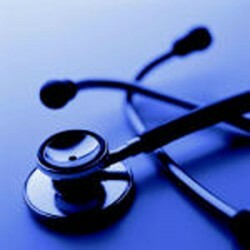 Looking to do 80 percent of the work of physicians but not sure about med school? Become a physician assistant, a highly trained health care professional who cares for patients under a supervising physician. Registered physician assistants are often qualified to take medical histories, conduct physical exams, order and interpret diagnostic tests, diagnose illnesses, develop treatment plans for their patients, prescribe medications and perform invasive medical interventions such as surgical assisting, setting fractures and suturing lacerations. PA programs typically last 24 months and require prerequisite courses in biology, chemistry, psychology, math and medical ethics. There are also certificates, associate, bachelor’s and master’s degrees available. A typical day for a PA could include hospital rounds, surgery, office hours, attending continuing education lectures and mostly providing patient care. Flexibility and willingness to adapt are key skills PAs should have. PAs should also prepare to keep up with constant changes in health care.